Phillip Philbeck creates some of the most beautiful landscape paintings in the art world. 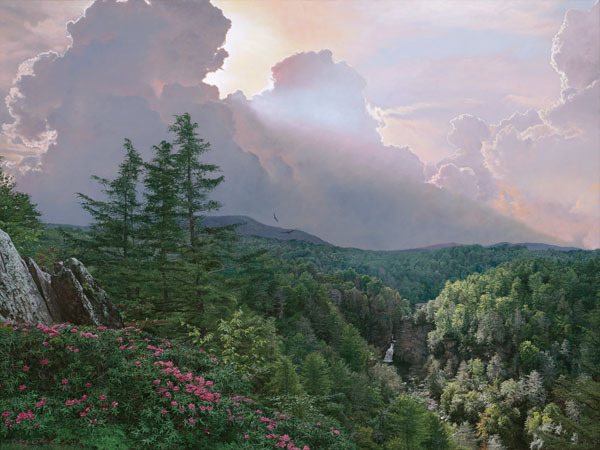 "Where the Rhododendron Grow" offers a lush mountain scene bursting with colorful blooms. As the sun shines through magnificent, billowing clouds, the land is alive with all the amazing beauty that is nature. Can't you just imagine the delightful scent from all of these wonderful flowers?